BRYAN EATON/Staff photo. 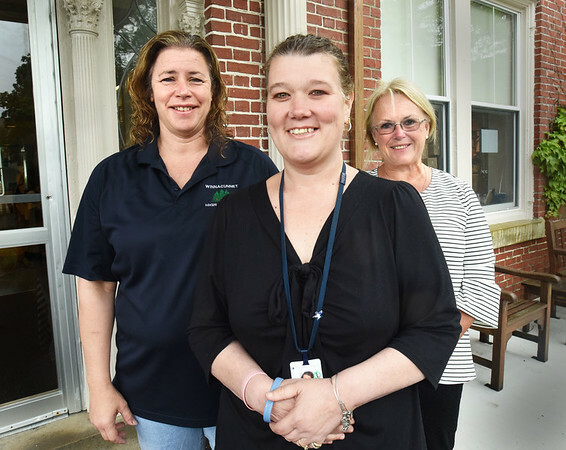 From left, Traci Perkins, Marcie Dow and Diane Wigmore, senior director of the Emergency Department at Anna Jaques Hospital and stroke counselor. Dow encouraged Perkins to go to the hospital when she suspected she was having a stroke.